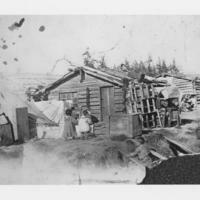 Subject is exactly "Log Cabins"
A photo of Sarah Meyook holding Laura, the little boy is Jimmy, we also can see Fred on the house in the backgorund. 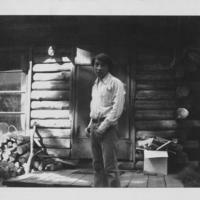 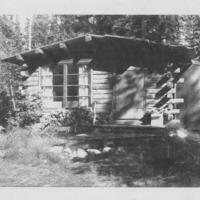 A photo of a man standing in the doorway of a log cabin. 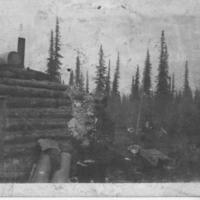 The photo shows a log cabin that is surround by trees. 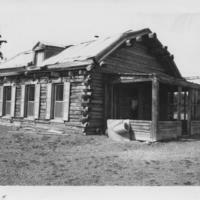 The photo shows a nice old log house in the summer time with grass all around the house. 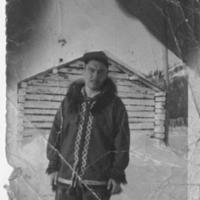 A photo of Jimmy Gordon by a log cabin in the winter. 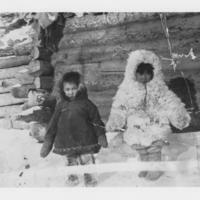 The image shows a man holding a child by a log cabin. 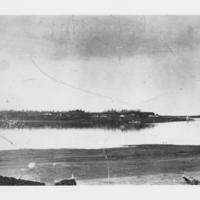 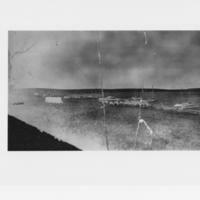 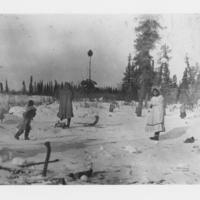 We can also see a few trees and a sled in the photo. 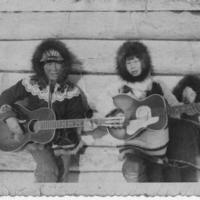 A photo of Bobby Gruben and Roger Gruben playing the guitar with a young kid beside one of the boys. 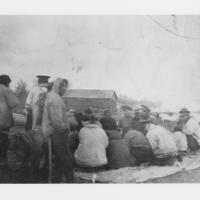 The image shows two men with their arms around a third man up against a log building. 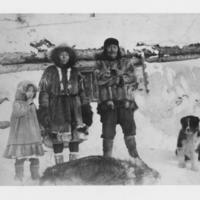 The photo includes: left to right: Tom Kimiksana, Kelly Ovayuak and Noah Felix. 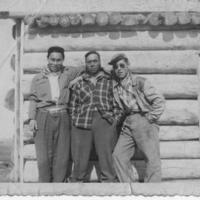 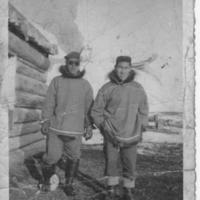 A photo of John Raddi and Noah Felix leaning against a log cabin. 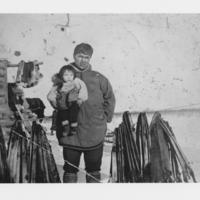 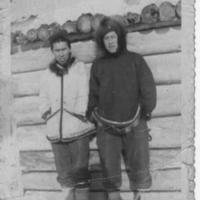 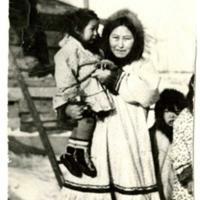 The pair are wearing traditional clothing that includes a parka and a pair of mukluks. 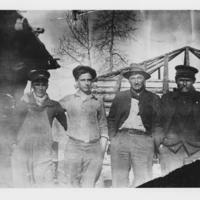 A photo of Noah and Joseph Felix standing by a log cabin. 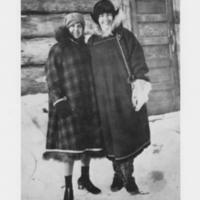 The pair are wearing parkas and a pair of rubber boots.